When serving in uniform, you focus on accomplishing the mission. Your work and everything you do is aimed at serving the country, at home and overseas. While carrying out the mission you're learning skills and building experiences that will be valuable later, but when you transition out of the military it can be hard to translate those into a civilian resume. How do warfighting skills apply to running a business? 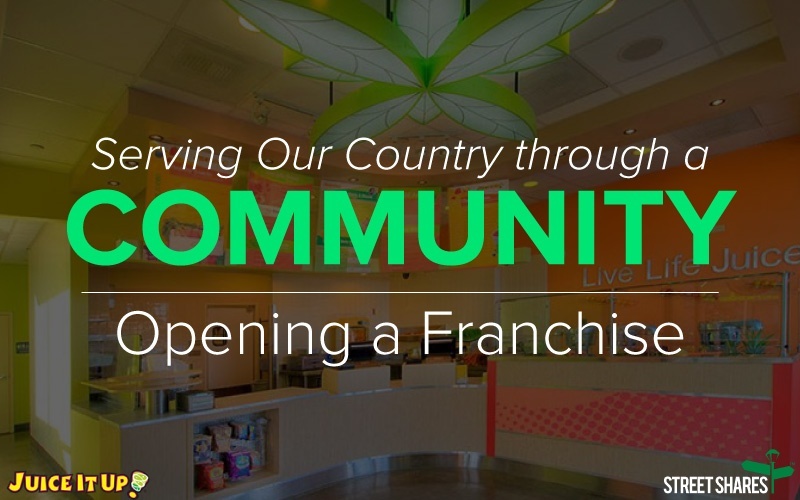 For many, opening a franchise is a good answer. A franchise is a business in which the owner, or "franchisors," sell the rights of the company to allow third party operators, or "franchisees," to use their name, logo and business model to open another location. Common franchises include companies such as McDonald's or Subway. Here’s the story of a Marine Corps veteran who served for 27 years and wanted to continue serving his country in a different way – through opening a franchise. Willie Smith served most recently as a master sergeant in the Marine Corps. Smith performed several duties such as training and recruiting marines domestically, property management in Okinawa, building warehouses to store combat equipment in Afghanistan, and even accounting and finance while he was stationed in Hawaii. When Willie retired from the Marine Corps in October 2010, he knew he wanted to stay in the local community and start a new career that applied the skills he had gained from his time in the Corps. Through Smith’s various assignments and career in the military, he learned valuable skills that transferred into his life as a business owner. The most valuable transferrable skills he said was leadership and recruiting. All of the things the military taught him about being a great leader and working with people has helped him become a successful small business owner. 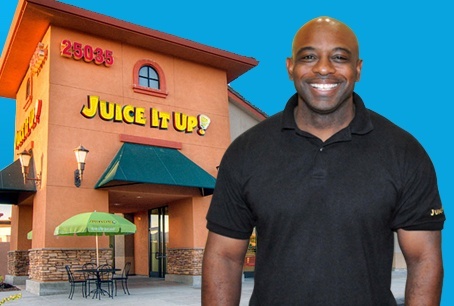 In the same month that he retired, he opened a Juice It Up franchise in Temecula, California. After serving in the military for 27 years, he still wanted to serve the country in a way that was helpful, not hurtful. Smith knew he wanted to own a franchise because they already have systems in place. “Being in the military, I like systems. I didn’t want to reinvent the wheel,” Smith said. He worked with a business broker who presented different types of franchises that he might be interested in. Smith wanted a franchise that had a healthy product and also helped the community in some way. When his broker presented Juice It Up, he loved the smoothies and the healthy concept. Another plus was that he went from serving the military to serving local schools. Juice It Up has developed programs that support events at public schools. For every smoothie that is purchased at a school event, one dollar goes to that school district. Juice It Up provides approximately $30,000 to schools each year. Some challenges have presented itself along the way as Smith transitioned into civilian life. He went from training thousands of Marines to training civilians, which is more difficult because personal values may not always match. The military is a different world. It teaches and instills values of respect, creating a vision, loyalty, honor and reaching goals. It’s a challenge to instill these strong values in your employees. However, the leadership skills he learned while in the military has helped him guide his employees who have helped him grow his business. Smith has owned a Juice It Up franchise for six years now and is in the process of opening his second location. 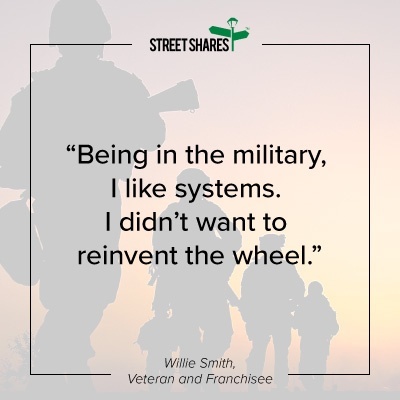 With funding from StreetShares, a veteran-owned lender, he’s able to pay for the franchise agreement, building lease and architect fees. During this interview, he was at the site of the new location. He is planning to open his second location in January 2017. Hear more about stories like this by subscribing to our blog.